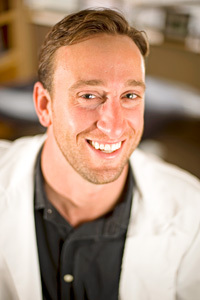 Dr. Parker was raised in Wichita Falls, Texas and received a bachelor’s degree in Biology from the University of Texas at Austin. 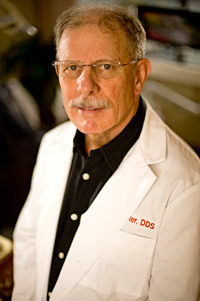 He received his dental degree from the University of Texas Health Science Center at Houston in early 1978. He then moved back to Austin as quickly as he could, with Kris his wife of five months. Kris, a model wife and mom, still serves as Dr. Parker’s hygienist part of the weekly schedule. He has trained extensively through more than 1,000 hours of continuing education in respected institutions including the Pankey Institute, the Center for Professional Development and throughout the University of Texas Health Science Centers. He is a member in good standing of the American Dental Association, the Texas Dental Association, the Capital Area Dental Society and the American Academy of Dental Sleep Medicine. He and Kris are blessed with three wonderful children: Brad, Jeff and Leigh Ann. These three blessings are their collective pride and joy. Dr. Parker enjoys playing senior men’s baseball, is an avid landscaper, gardener, stonemason and so far has run 35 marathons, including Pike’s Peak. For the past ten years he has developed a passion for saltwater kayak fishing. To help raise donations to fight Multiple Sclerosis, and to see if he could, Dr. Parker has ridden his bicycle in the MS-150 from Houston to Austin in 2011, 2012, and 2013. Dr. Kimball is a Houston native, graduating from Strake Jesuit College Preparatory before finishing his undergraduate studies in chemistry at St. Edward’s University, right here in Austin. While pursuing his Doctorate of Dental Surgery at The University of Texas Health Science Center in Houston, he was recognized for his research in bone regeneration. He has been in Austin practicing dentistry ever since his graduation. With Dr. Kimball’s love of science and passion for helping others, he has chosen the perfect profession. Dr. Kimball’s time away from dentistry is spent with his two precious daughters, Taylor and Stella. He has managed to remain actively involved in their education. Dr. Kimball is currently working on perfecting his golf game and intends on hiking every square inch of Lake Travis. He is a founding member and on the Board of Directors of the lake Travis Kiwanis and he enjoys providing dental services to those less fortunate through the Texas Missions of Mercy. Kris has been practicing alongside her husband, Dr. Parker, just over 35 years. As a dental hygienist she loves keeping everyone’s smile healthy and bright. Our patients have become wonderful friends. Their three children are all raised so she has more time for her favorite activities. These include walking, serving as a Master Gardener, quilting and most especially spending time with family and friends. She cannot wait for the next phase of her life….grandkids! 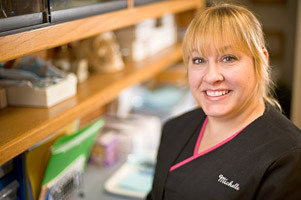 Lucinda graduated from Dental Hygiene school in 2005 and has worked with Dr. Parker her entire career. She has four daughters and lives in Kyle. She enjoys spending quality time with her girls every chance she gets. In her free time she enjoys the outdoors and spending time with her family and friends. 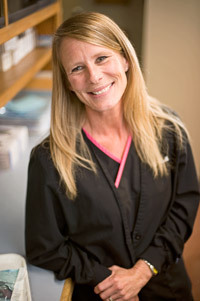 Our office manager, Tricia, began her dental career in 1993 and started working with Dr. Parker in 1994. She truly enjoys helping patients with their dental needs and greatly values the friendships she has made along the way. Tricia spends her time away from the office with her husband and two young daughters, Audrey and Aislyn. They all enjoy the outdoors – fishing, swimming, gardening and walking. 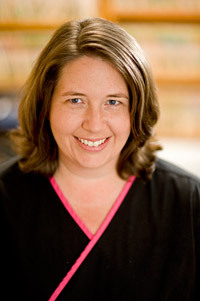 Michelle has enjoyed working alongside Dr. Parker since 2007. She became a Dental Assistant in 2001 and loves her job! She is married to James and has three children, Niki, Christopher and Briana. Her joys are her two grandchildren, Benjamin and Simora. Michelle loves spending time with her family, traveling, swimming and camping. 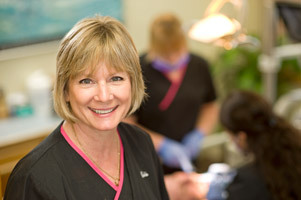 Carol has been a dental assistant for 25 years and is passionate about her career. She joined Austin Skyline Dental in 2008. She and her husband Adam, along with some of his family, enjoy competing in cook offs with the fabulous smoker Adam and his brothers built by hand. It’s a true family affair. She has two wonderful children, Clayton and Savanna. Recently she has become a committed soccer mom traveling all over with Savanna. They live in Pflugerville, Texas. Her favorite activities are those of her children along with cooking and camping.